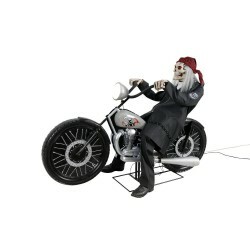 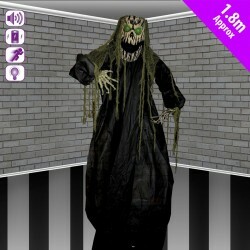 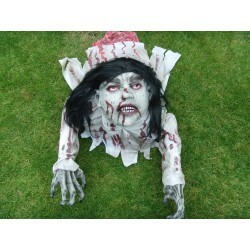 If you are looking to buy large moving Halloween Props then you need look no further. 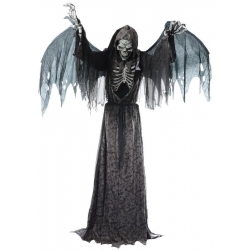 We have the best and most professional range of animated props in the U.K. and most can be seen working in our all year round Horror Shop based in Yeovil, Somerset. 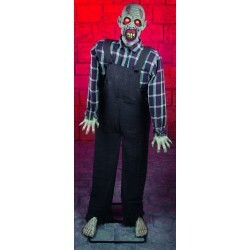 Halloween Animatronics such as Rocking Mouldy Mommy, Pestilence the Smouldering Reaper, The Crawling Corpse, Lunging Zombie and Rabid Dog, Evil Clown and Limbless Jim to name just a few. 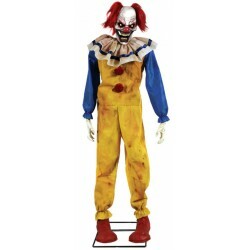 Turn your house into the scariest Haunted House in town this Halloween with our nail biting, knee trembling, heart pounding collection of Halloween Animatronics.